Queen Elizabeth Maternal Health Centre, originally known as the Carlton Refuge, was established on the present site in 1861. A joint initiative of Protestant churches, it was originally intended as a reformatory for young single women who had engaged in prostitution, and gradually expanded its operations to include care for neglected children, training for mothercraft and infant welfare nurses, residential care for married mothers and their babies, and other services. 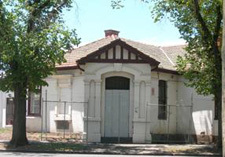 The Carlton Refuge closed in 1949, and in 1951 the site became home to the Queen Elizabeth Maternal and Child Health Centre and Infants Hospital, which eventually closed in 1997. The significant buildings surviving today include the original dining room, laundry and matron’s room (1861-63), chapel (1881), hospital ward (1882), dormitory wings and administration wing (1907) and the model baby health centre (1951). 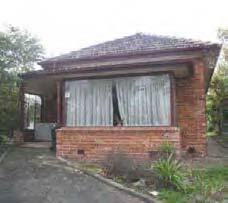 This case study examines how the application of Victoria’s Framework of Historical Themes can assist in confirming or revealing the significance of the site, particularly in relation to buildings that have particular historical or social associations, but do not have strong architectural values, or have been altered. It demonstrates that, while the philosophy may have changed, the fundamental role of the site in providing services for women is a common thread throughout its history. The Framework may assist in identifying opportunities for interpretation. The Chapel is one of the few early buildings to survive relatively intact. It symbolises the close association of this site with the Protestant churches. As noted in the VHR statement of significance, the role of the church is symbolised by the Chapel, which ‘exemplifies the aims of the founders of the institution, who hoped to inculcate true penitence in the women and inspire them to lead a virtuous life’. 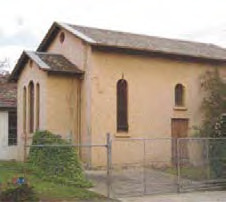 The VHR concludes ‘the rest of the Carlton Refuge complex gives meaning to the chapel’s existence on the site’. This building provides evidence of the changing attitudes of society towards women in the early 20th century. The new approach to the care of the women and their children is reflected in the layout of the new dormitories, which provided smaller rooms rather than large dormitories, and verandahs where infants could be placed to receive the benefits of fresh air. The changes made at this time anticipated the development of the maternal and child health movement that was to begin after World War I. 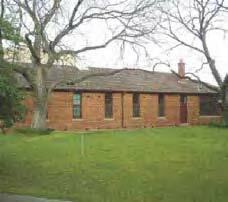 The design of this building is typical of Baby Health Centres of the post-war era in its domestic appearance and standard construction. Along with the other buildings constructed after 1951, it symbolises the change in the use of this site to essentially cater solely for the promotion of maternal and child health through providing mothercraft training, residential care, preschool and day nursery facilities and care for mothers and babies after being discharged from maternity hospitals. It continued the concept of ‘helping others’, but any religious associations had ceased. Births did not occur on site. The babies were delivered at the Women’s Hospital.